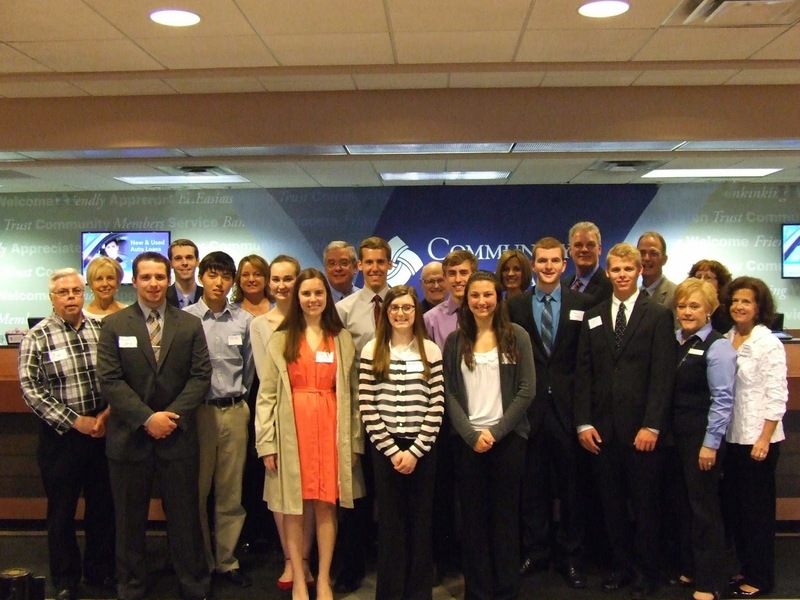 PLYMOUTH, Mich. – Students from several high schools of northern and southeastern Michigan were honored as the 2014 Community Financial Scholarship award winners recently, continuing the credit union’s commitment to supporting youth and education in local communities. Community Financial, in collaboration with the Community Foundation of Plymouth (CFP) and the Ann Arbor Area Community Foundation (AAACF), awarded scholarships to 18 students. Community Financial’s scholarships are awarded to students who exemplify the credit union’s “People Helping People” philosophy. Each student received a $1,000 Margaret Dunning, George Lawton Memorial or Employee Scholarship and were honored at a reception April 29, 2014. Employee Scholarship winners include Bridget Kerwin, Alex Hansen, Michaelene Michels and Alyssa Engle. Community Financial scholarships are part of an annual, essay and recommendation-based program.